Grab steering of 8 wheeler russian centipede truck and go for extreme offroading adventures. 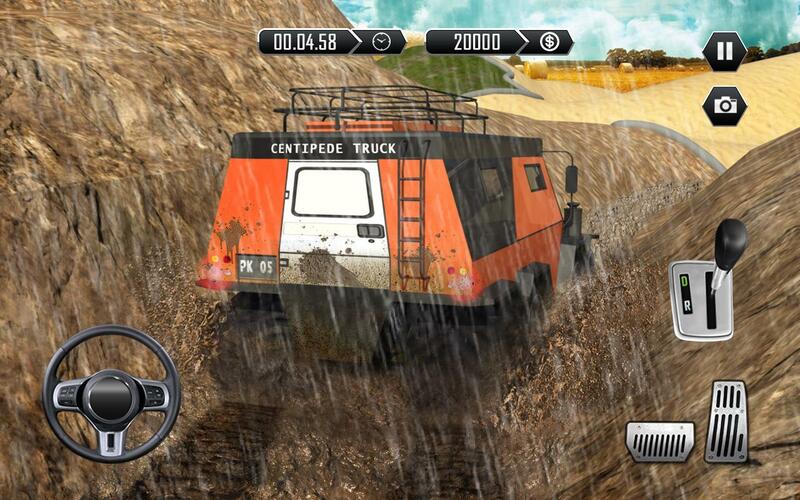 Play Offroad Centipede Truck 3D simulator game and become a real truck driver on bumpy hill roads. 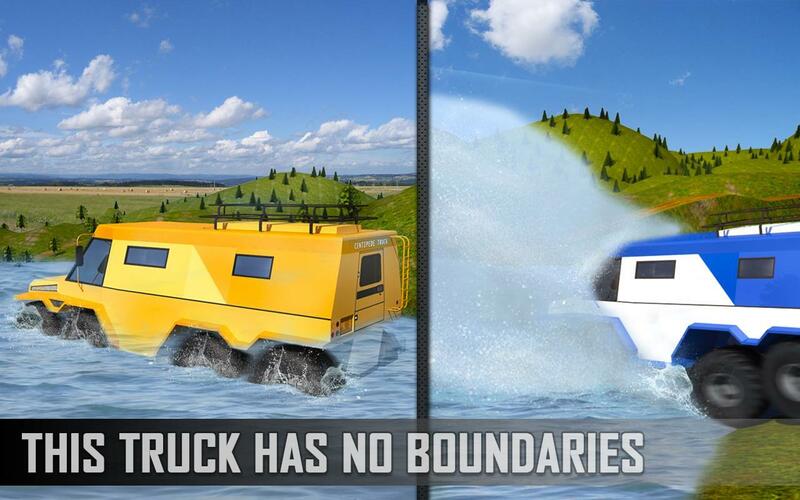 This monster vehicle ATV knows no boundaries; drive thru marshes, swamps and running water like flying car. Forget 4x4 SUV or offroad jeep driving and maneuver this 8x8 wheels russian centipede truck on rugged terrain. This ATV Shaman has top speed of 50 mph and can climb steep 45 degree on big rocks and hurdles. Drive through thick mud on sloppy terrain and steep hilly roads. 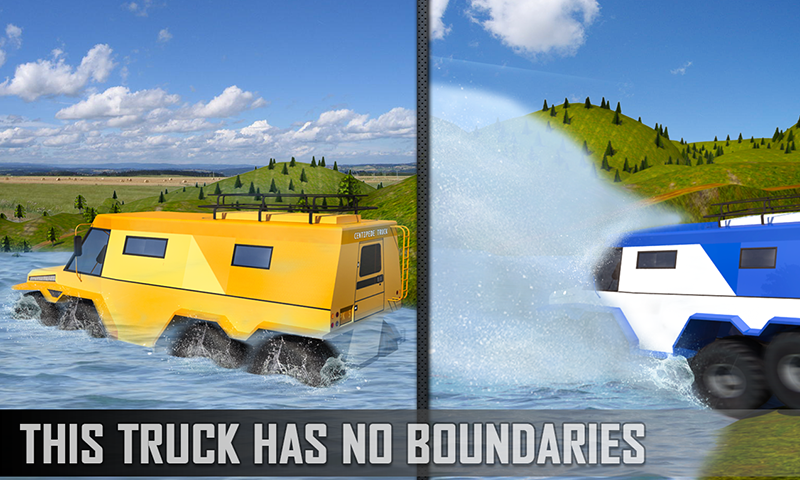 This amphibious vehicle has powerful revved up engine with 160 horsepower. Awesome truck can traverse anything with great suspension. Do not stuck in the mud and push race throttle to maximum. 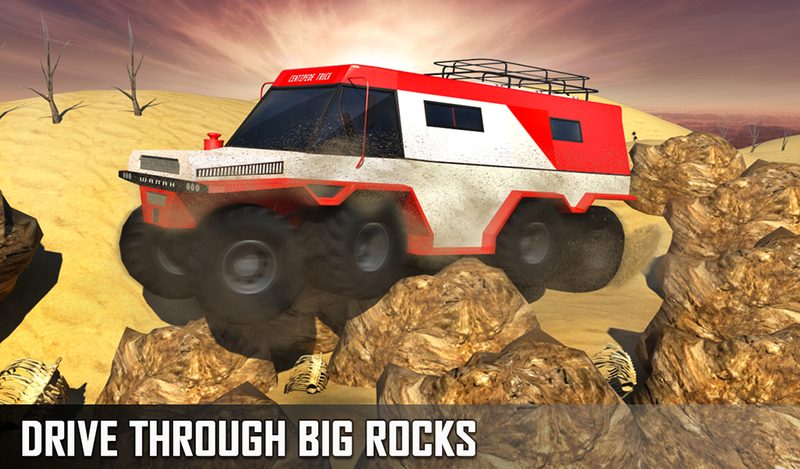 Latest invention in euro truck lets you enjoy offroad racing experience with heavy machinery like mountain jeep. Relish master driving on world’s most difficult terrains under extreme conditions. 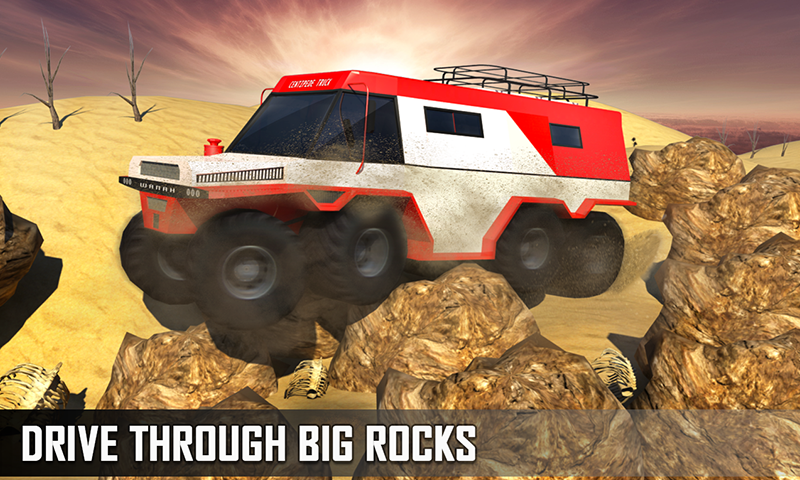 Become a real offroad driver and steer gigantic vehicle with its 8 tires in huge open world off-terrain environment. 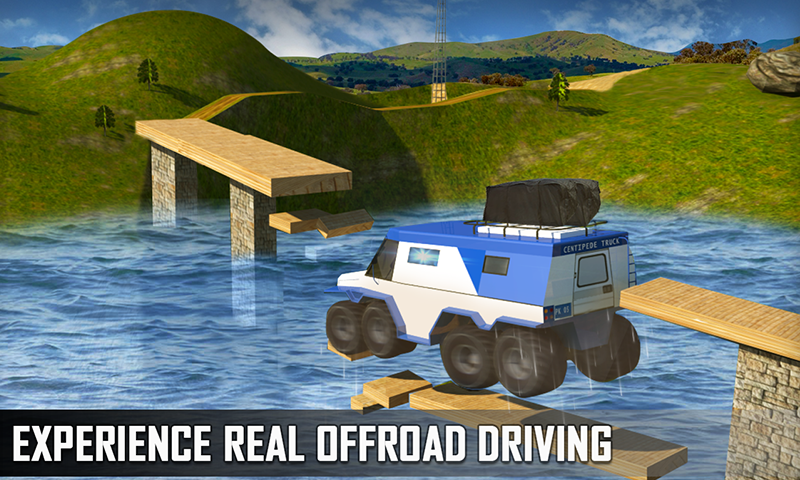 Enjoy interactive gameplay with offroad car that can run underwater or on mountain top bumpy tracks. 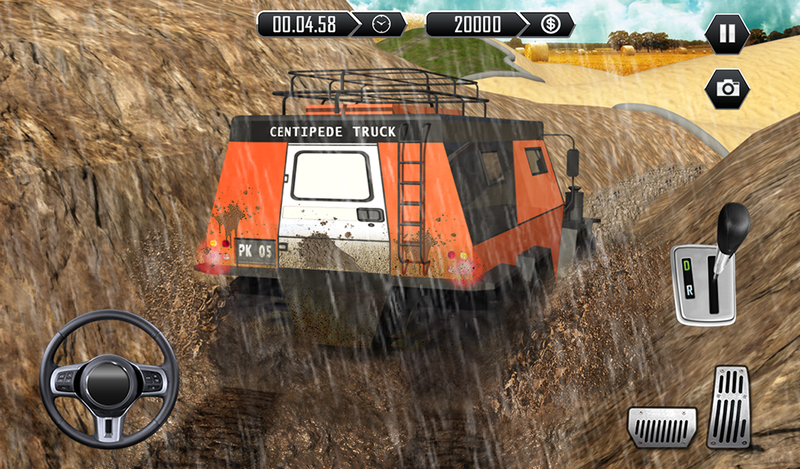 Go way way offroading in unbelievably powerful Centipede Truck simulator game. Are you a fan of classic car driving games with manual gearbox? 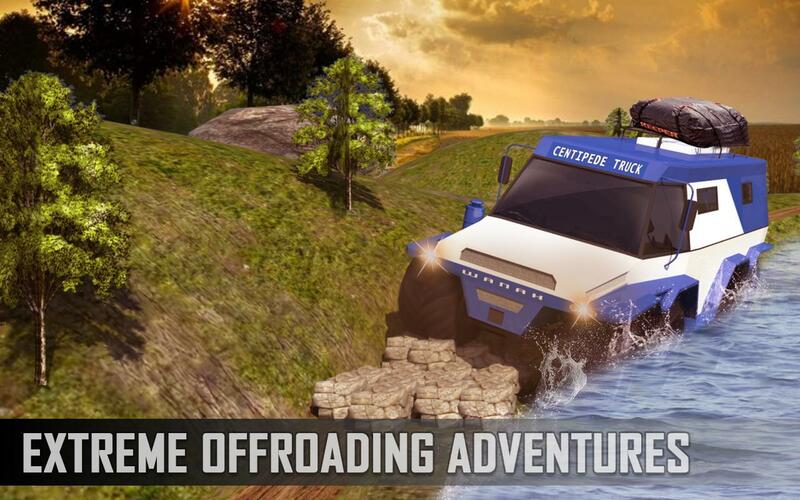 This offroad truck driving game is best for you to explore russian outskirts in extreme weather conditions. Pack your luggage and pick friends on various routes. 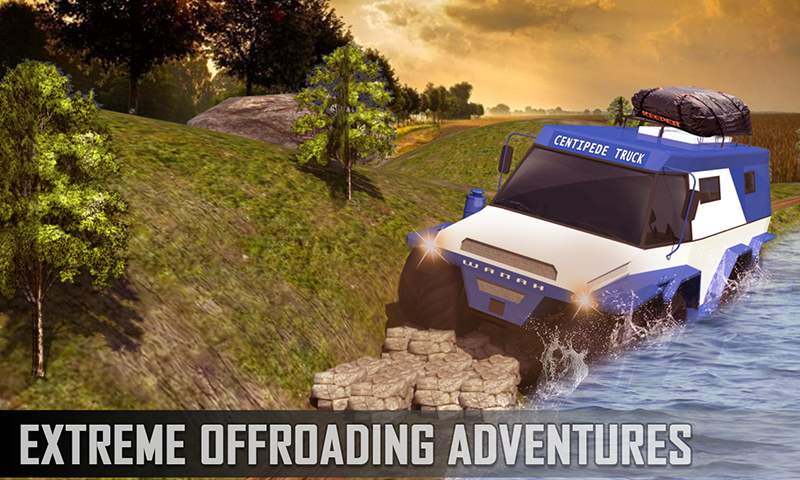 Get ready for offroading experience of lifetime. Drive off-road car during natural disasters like landing sliding or cars falling down from hill top. Drive away from hurdles and do not crash into big structures or cars. 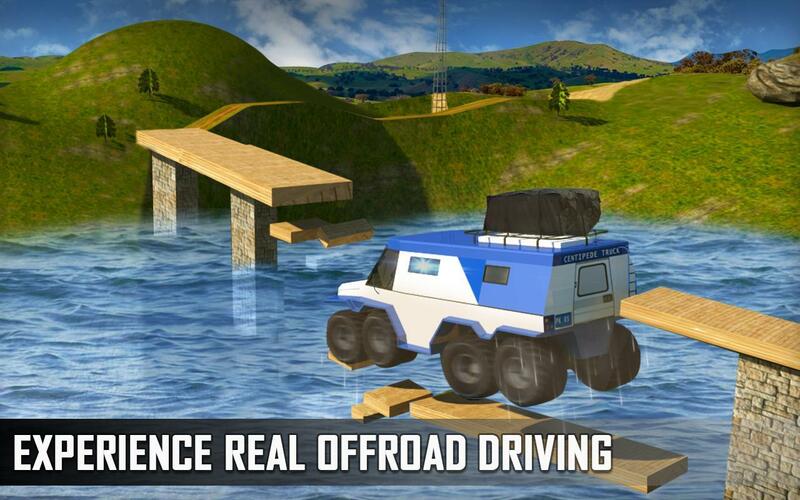 Maneuver giant trucks on wooden bridge which breaks down and car falls into the river. Drive gigantic car out of the water soon or the engine will fail. 8x8 ATV vehicle comes in three steering modes and big enough to carry 12 persons. 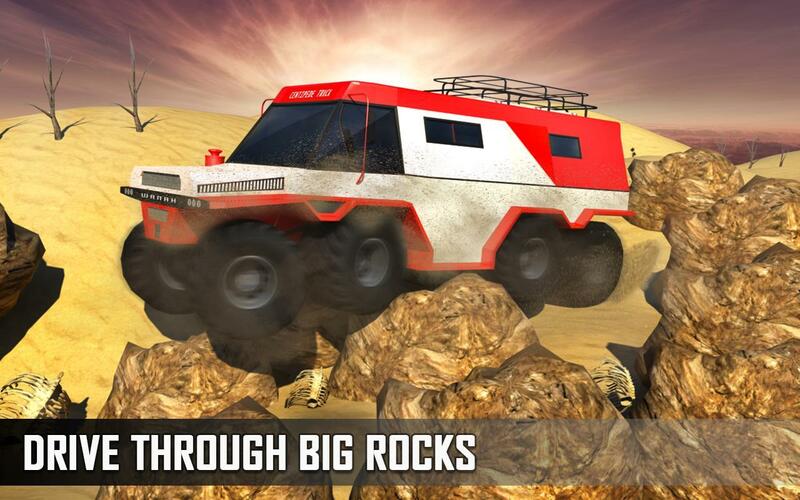 Your job is to drive monster car and become the best offroad truck driver in realistic hilly environment. Hill climb racing is not a problem with super powerful diesel engine. 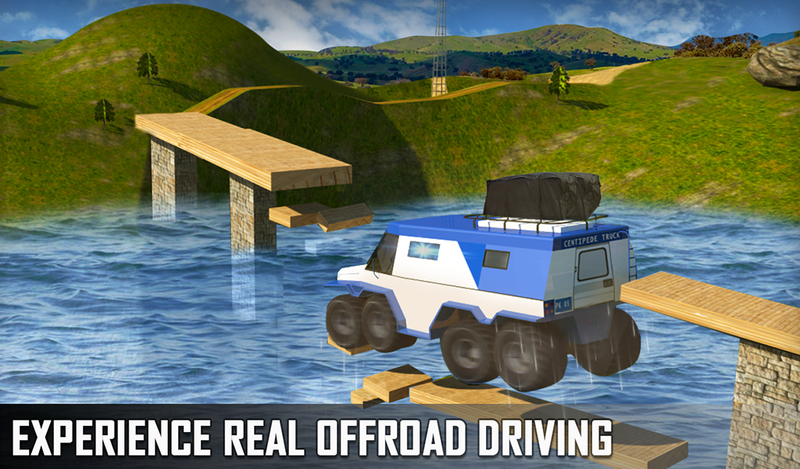 Explore 4 different driving modes like in massive desert, through a lake, a safari jungle and thru mud swamps or marshes. Eight monster truck wheels steer independently for sharp turns and incredible suspension with real physics engine gives realistic driving feels. 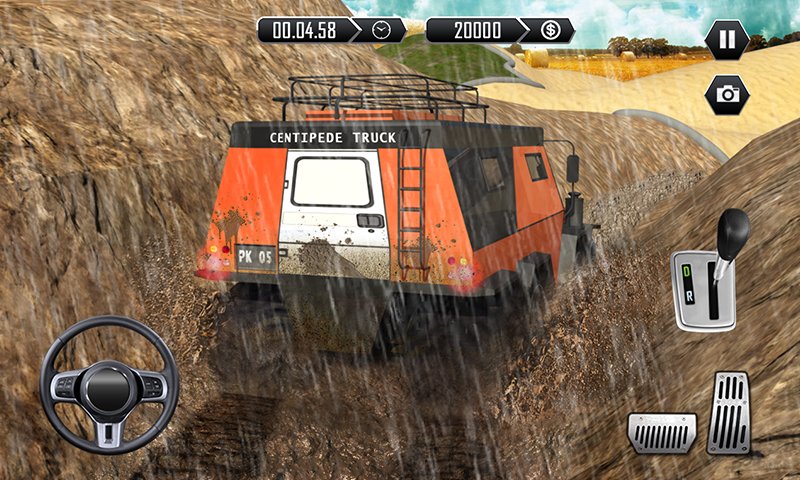 Download Offroad Centipede Truck 3D simulator game for endless challenging adventures on rugged terrains. Enjoy monster truck parking on russian countryside mountains and unlock your reckless driver status.